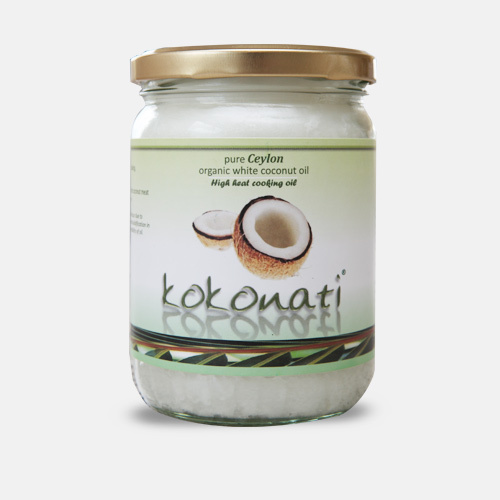 KOKONATI White Coconut oils are 100% natural, certified organic with the fresh aroma of coconuts and clean tasting too – truly delicious. 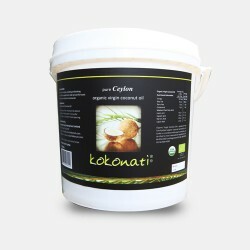 Organic White Coconut oil is very rich in medium chain fatty acids. It is considered a functional ‘super food’ because it has healing benefits beyond its nutritional contents. A Coconut has more nutrients, that is simply put, the reason why coconut oils have many advantages over other oil sources. It comes from a source that’s naturally higher in minerals and other phytonutrients, the humble Coconut. Our range of white Coconut Oils is suited for high heat applications as it is thermally stable and has been extracted under heat press. 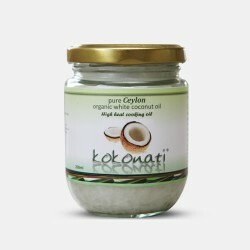 While organic virgin coconut oils are suitable for both raw and heated applications, the white coconut oils are excellent for heated applications as they are already heated in manufacture and are more economical as heat press processes yeild more oil in production that the cold press processes and this reducing our product cost ! 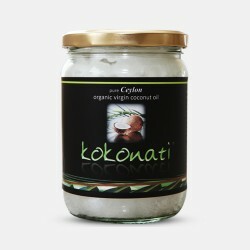 Why is KOKONATI Organic White Coconut Oil the best for cooking with? 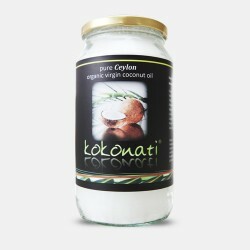 Only pure Ceylon Coconuts are used in the manufacture of KOKONATI products. Coconut trees grow in rich volcanic soil, contributing to the many nutritional benefits that come from eating coconuts that grow here absorbing these nutrients from the rich soils .Ceylon is a country blessed with naturally abundant Coconut trees – the tree of life. 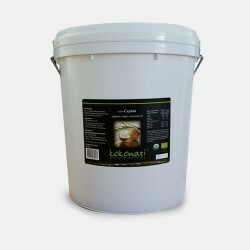 High lauric acid content of white coconut oil is excellent to strengthen and maintain a healthy immune system. which provides energy, supports the health of your skin and metabolism, and keeps your moods in balance. 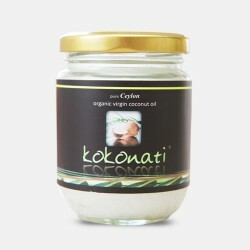 KOKONATI white coconut oil is also great mixed with soft sugar crystals to slather on and exfoliate under the shower.